Those are awesome trophies! Love them! AWESOME! Just read your write-up, and I don’t envy this one one tiny bit lol Even though I live in one of the warmer areas of NewZealand, I still can’t manage to be friends with it, let alone running through it! I hope to one day do this too as a relay, and if I am nuts enough and play my cards right, mabye even do the whole thing… who knows! It was great to be able to participate together – while we still have a babysitter:) And last night, I bought a road bike, my first bike in 18 years. 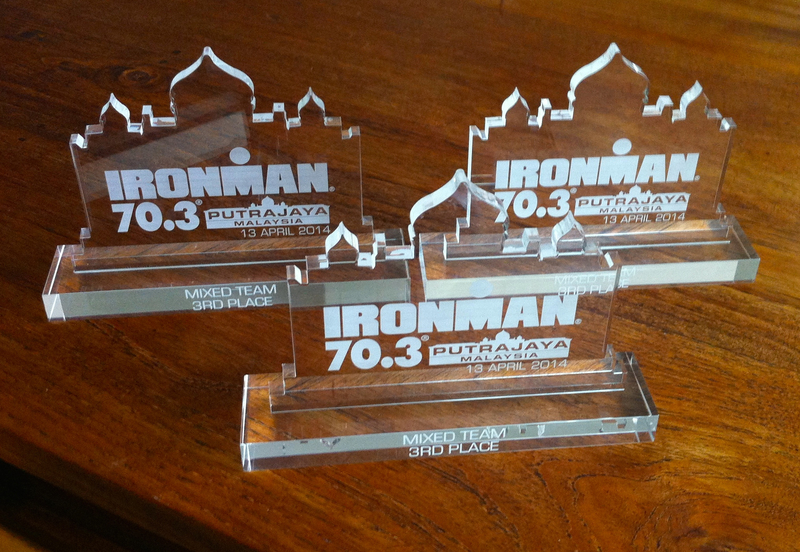 Still, no plans to do a full triathlon but maybe, jus maybe, I’ll try a duathlon some time. … Need to get the hang of the bike first.